Wires and tangled cords lying around not only are unpleasant looking but can also create a potentially hazardous situation. 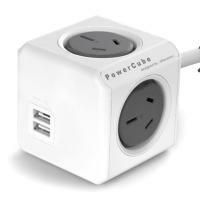 Avoid this mess with the PowerCube, which allows power cords to combine into one compact solution. 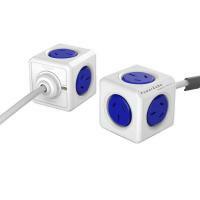 This cube-shaped socket multiplier prevents plugs from blocking each other, keeping things easy and efficient. 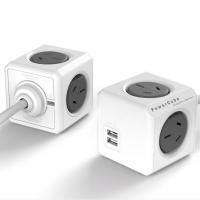 You can gain up to five additional sockets in one PowerCube, even combining one PowerCube with another to accommodate your desired amount of power outlets. 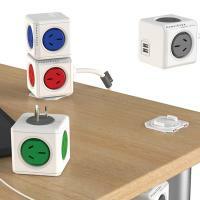 Simple, stylish, and easy to use; this product comes in four colours.